Stop painting your lashes…TUBE them! 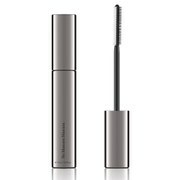 blinc Mascara will add both volume and length to give you a radiant natural look that lasts all day. Only when you are ready for removal, the tubes will effortlessly slide off your lashes into your hand without the use of a harsh makeup remover. All it takes is the combination of lots of warm water and gentle pressure and the tubes will slide off your lashes effortlessly. Upon removal you will actually see the tiny tubes in your hand! blinc Mascara has been clinically tested to be non-irritating making it ideal for sensitive eyes, contact lens wearers, and active people in search of a mascara whose look, hold and ease of removal is without compromise. Forms a tube around each eyelash. Cannot run even if you cry or sweat. Will not smudge even if you rub your eyes. Rich texture adds volume and length without clumping. Does not require an eye make-up remover. Removed simply by combining water and gentle pressure. Comes off completely without leaving any residue. Ideal for sensitive eyes and contact lens wearers. Application: Apply just like a regular mascara. It is important that you do not use conditioners, lotions, etc... before applying the mascara. blinc requires a dry, clean surface in order to adhere properly to your lashes. It takes about 2 minutes to set and begin forming the tiny "tubes" around your lashes. Do not let it set before applying another coat in order to build...keep adding coats until you are satisfied with the volume, length and degree of lash separation before mascara sets. Once it sets, you can no longer build. Removal: Only when you are ready, blinc Mascara can easily be removed with a combination of warm water and gentle pressure with your fingertips. Pressure alone is not enough, and water alone is not enough. It must be a combination of lots of warm water and gentle pressure - for example taking a shower, will make the tiny tubes effortlessly slide off your lashes. You will actually see the tiny tubes in your hand. If you insist on using a makeup remover, you must use a water-base remover not an oil-based remover. Nothing oily can make it come off...not even if you have really oily skin. 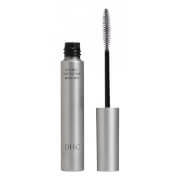 Tip: With blinc Mascara, you will not have to re-apply mascara throughout the day since it does not flake away like most oil-based paint mascaras. Whether your daily activities take you from the office, to your sweaty workout and then out to dinner, you will look as good in the evening as it did in the morning. I've fallen in love with this mascara!It goes on easy and never smudges or runs. I've gone swimming with it and not ended up with raccoon eyes, but it is super easy to remove - the first few times were even a lot of fun because it comes off so differently that typical mascaras.My two minor negatives: It takes a minute or two to dry which means I often end up with some on my eyelid or just below my eye from blinking (not a big deal if I remember to do mascara before the rest of my eye make-up). I have long lashes, but not thick lashes; blinc is no better than most mascaras I've tried for making my lashes look thicker, however the lack of smudging and running make up for it. My friend got me hooked on this mascara. I was complaining about smudges and she told me to give it a try. It's really great for an all-day mascara. The only downside is you can't put on multiple coats, but that isn't a big deal to me. Oh, and i wish the price was cheaper. Overall, it's worth it! After reading all the glowing reviews, I was disappointed in the Blinc mascara. While it does stay on and doesn't smudge, it really didn't do much to make my eye lashes longer or thicker. Never smudge, doesn't come off. 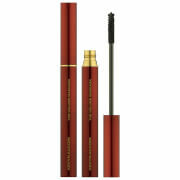 Goes on and removes VERY different from other mascaras, so you need to be prepared. You can only apply 2nd coat while still wet (when "tubes" are forming) and use lots of cleanser and water to wash off (big clumps of "tubing") . I've traveled 20 hours straight & stuff doesn't budge! I am a self professed mascara junkie. I have tried just about everything out there. This stuff is truly the best. The consistency takes a few applications to get used. I don't even know how to describe it other than it's wetter than any other mascara I've tried. There is nothing that will make this stuff flake off. I'm a very active full time nurse, and a mom of 3 with oily skin. My lashes look the same before bedtime as they did during morning application. Don't be freaked out when removing. It looks like your pulling your own lashes out, but it's the tubular coating. My lashes have sustained the same length and volume since using this mascara. I think I need to buy the primer :). I have been using this mascara for over 2 years. 2 weeks ago I lost my blinc mascara and have been using backups (just conventional store bought stuff I had on hand) . I am dying!the best part about the blinc mascara is that it is SO easy to remove and get it ALL off! no remover ! just soap and waterI have deep set eyes and long eyelashes so for 38 years I never wore mascara on my bottom eyelashes because it would smudge all over under my eye in about an hour - except on special occasions when I'd then wear waterproof because I was willing to use eye remover.....(I don't think all that "rubbing" is good for your eye and I can't stand the residue)Anyway, the Blinc stays on my lashes for about a good 36 hours before it starts to wear/fall off.I agree as some have mentioned that it is rather thin, but in my experience that only lasts for probably the first few wears (4-5 days) and then it gets a little thicker (i have found all mascara does this, it gets glunkier over time and if you just wash the brush 1-2/months or so it seems to help) I am not one to like overly thick, matted lashes anyway and prefer it to be thinner, so this works for me.The first time I bought it I thought I was crazy to spend 24$ but now I can't live with out it....I will NEVER buy anything else, if I can help it. I am on my 4 or 5th tube and I usually make them last about a 6 months or more. I have used better for a better price. I thought it was hard to put on as it took several layers until I could see it. Once it was on it was fine but my lashes were not thicker. Removing it is very easy and there is no residue, which I have with other brands. If you wear it all day long in the evening it seems heavy on your lashes. I returned it. This is the best! It does NOT melt in the heat and looks great. LOVE this mascara. I wanted to try this tube mascara. Had heard about it from others. It does go on easy and stays on well. But, I have short, straight lashes. After I curl them and put on this mascara, they go straight again. It does not give much fullness either. I do like the whole tube idea. Would be fine if you have long, full lashes already. I do use it over my regular mascara sometimes, and it does ok for that. But, would not buy again.